As some of our readers might have read elsewhere, with the wrapping-up of the World War One Centennial commemorations, I have decided to conclude publication of my monthly subscription magazine, Over the Top. December 2018 will mark the release of our final issue, the 144th. 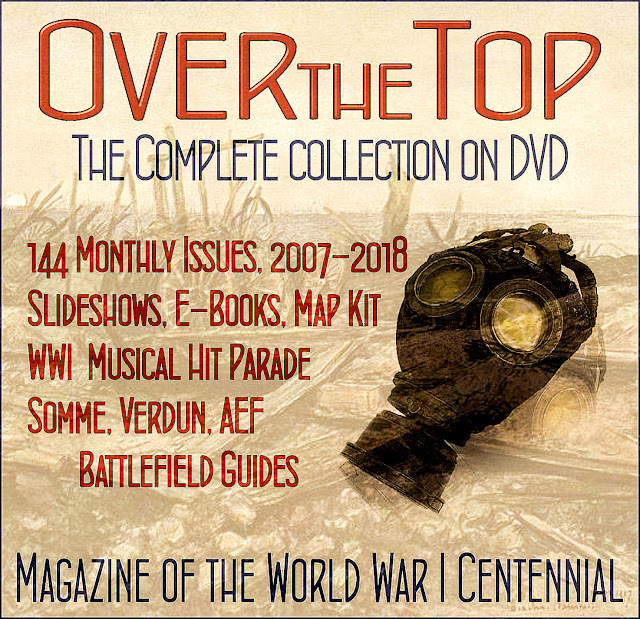 However, all 12 years of the magazine will be available along with many other of our special features for purchase on our Complete Collection DVD. The DVD will be ready in mid-December, in time for Christmas season shipping. Be sure to include your mailing address or that of any gift recipients.